Be the first to see how a crisis is unfolding with FirstLook, an online subscription service for emergency management. You get fast web-based access to pre-event and post-event imagery plus updates as our constellation continues to collect data. Share imagery of on-ground conditions anywhere, anytime, on desktops or mobile devices. When time is critical, FirstLook provides the advantage of timely information for faster response. Know evolving conditions and make informed decisions quickly to mitigate the impact of disasters before they happen or rebuild and restore livelihood after natural disasters and civil conflicts. Sign up to receive email alerts when FirstLook is activated for an event. Whether it's a flood or fire, an earthquake or explosion, every minute counts. With FirstLook, you know on-ground conditions fast for a rapid, informed response. You can't control Mother Nature, but you can control your response. FirstLook lets insurance companies understand exposure and service clients faster. FirstLook enables decision-makers to gather actionable information about rapidly evolving events. 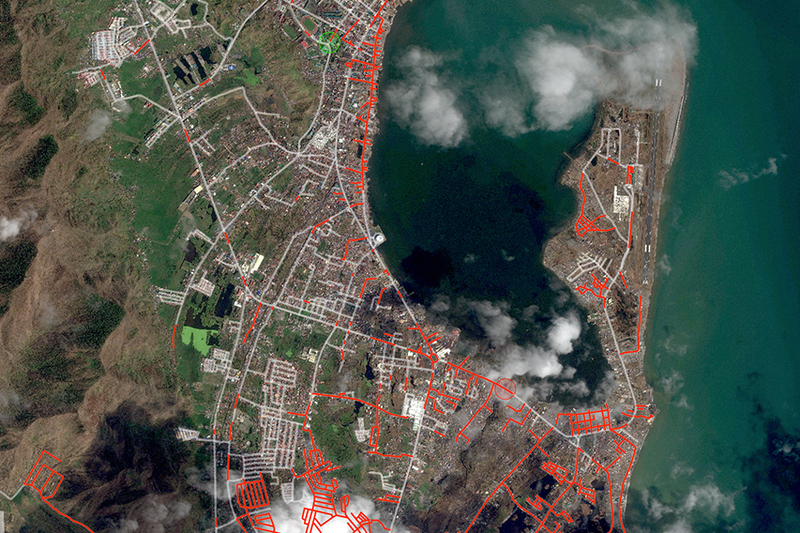 Geospatial data informs military strategy to protect assets around the globe. Our archive of billions of square kilometers lets you see the area before the crisis event took place. Priority new collections deliver the most up-to-date imagery. Add a crowdsourcing layer to provide insight and expedite decision-making. Access FirstLook through a premium EarthWatch subscription for online delivery of pre- and post-event imagery and data, along with additional geospatial context about affected areas.